In our lifetimes, we have seen the once deadly scourge of another terrifying virus, polio, eliminated. We have made remarkable progress in the prevention, early detection and treatment of many forms of cancer and heart disease. All of this progress was possible because of wise investment of federal support for research." Robert N. Golden, dean UW School of Medicine and Public Health. John R. Raymond Sr., president and CEO of the Medical College of Wisconsin. When I discover I've made a mistake by claiming something is that isn't, I say so. As a layperson who writes about the history of medicine, I like to cite my sources so that readers don't get the idea that I'm making things up. But I'm not sure whether or not I have an ethical responsibility to strive to be accurate. I try hard to be accurate, but I do so for personal and calculated reasons, not because I believe I have an ethical responsibility to do so. On the other hand, I think public employees have a clear matter-of-fact ethical responsibility to the public at large. When a public employee makes a public statement on a matter that the public should reasonably believe them to have an authoritative expertise, that employee has an ethical responsibility to be accurate. The Golden-Raymond statement above isn't accurate. It's wrong. It hasn't been corrected; I doubt it will. The authors and other senior administrative/executive staff at many taxpayer supported institutions act as if they believe that they have a greater ethical responsibility to their coworkers and their institution than they do to the public at large. I've written a little bit about the repeated false assertions regarding polio. See for instance, "VandeBerg is all wet" (12-20-2009); and "[The Dalai Lama] is the human embodiment of compassion." (6-16-2013). It isn't unethical for Golden and Raymond to have written something wrong, we all make mistakes; it is unethical not to correct their error and to notify the public of their correction. I suspect the problem is systemic. Goldman and Raymond appear to embrace much of what Milton Freedman has said regarding the purported ethical responsibility of businesses to increase their profits. But they contort Freedman's already twisted philosophy. They act as if they believe that their primary responsibility is to increase the already torrential flood of tax dollars that keep the university growing -- it is ironic that Golden and Raymond appeal to people's fear of cancer, while striving to emulate cancer's runaway growth. Sick. In more than one way. Golden and Raymond have failed to meet their obligations to the public. They have an obligation to be sure that their claims are accurate and to correct them when they aren't. They have an obligation to act in the public's best interests, not their own financial interests and not the financial interests of their co-workers and institutions. Particularly sad is the possibility that these purported leaders aren't actually calculating self-interested public teat-suckers, but that they are just gullible uninformed yahoos who believe their industry's propaganda. Claiming that the federal government's support of polio research is the reason for the polio vaccine is doubly wrong. It wasn't the federal government's "wise investments," it was private donors responding to appeals from the privately run National Foundation For Infantile Paralysis. I was asked by a friend to comment on UCLA Chancellor Gene Block's email in which he defended and promoted David Jentsch's own promotion of anything-goes animal experimentation. Last week, the Daily Bruin published an important and compelling column by a member of our faculty, psychology and psychiatry professor David Jentsch. In it, Professor Jentsch rightfully encourages our students to use their knowledge and skills for the betterment of our world, which includes engaging in important scientific research. For many years, Professor Jentsch has conducted essential research aimed at understanding brain chemistry in order to treat the root causes of addiction, a disease that destroys lives and families. This work has required responsible animal research. I think it’s important that everyone take the time to read this column. 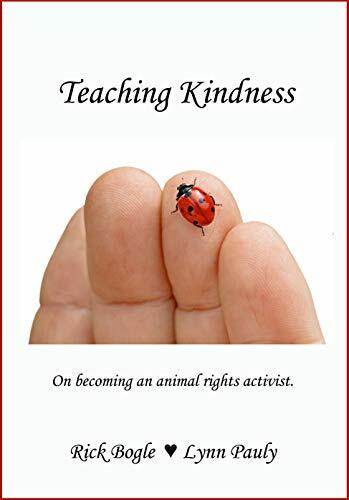 As someone who has continued his lifesaving work despite being a target of violence and harassment by animal rights activists for many years, Professor Jentsch offers a critical and unique voice on this subject. Unfortunately, he has not been the only faculty member targeted by activists. Several of our other faculty members who engage in animal research have been similarly targeted and yet have bravely persevered despite these shameless tactics. Our campus has worked through the legal system and with law enforcement to protect our researchers, and I want to use this occasion to make it clear that all members of the UCLA community who contribute to scientific and medical progress continue to have our support, respect and admiration. Please always remember that animal research is closely monitored and subject to multiple stringent federal laws and university regulations. As Professor Jentsch writes, “Be a proud scientist… I stand with you.” As UCLA’s chancellor, I stand with him and all those who are dedicated to improving health and saving lives. I suspect that many top executives (I'm not sure of what word to use there. Chancellors, vice chancellors, deans, assistant deans, directors of centers, etc.) at larger universities are vetted with regard to their feelings about the use of animals because of the very large financial risk should someone with a genuine concern for animals be put in a position that might give them some power to intervene. Vivisectors are well represented in the ranks of the top executives. At every step of the system, vivisectors are in control. Put another way, the people with the largest financial interest in the support and propagation of animal experimentation are in direct control of divvying out large monetary awards to people using animals, who in turn play the role of overseeing the use of the animals. The NIH leadership is dominated by vivisectors. 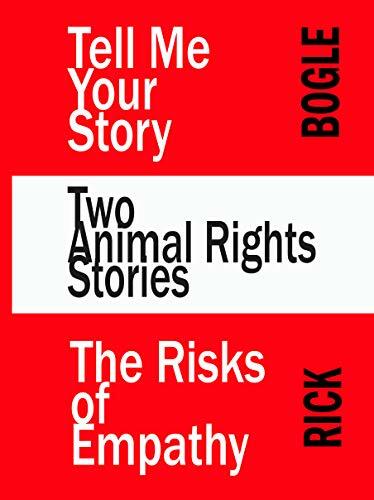 Nowhere along the decision-making chain, from the agency director all the way down to the lab technician manhandling a monkey, does anyone with a genuine concern for animals have a chance to influence the decisions being made concerning them. Block misleads his readers (a terribly unethical thing to do for someone who claims to be an educator.) Neither Jentsch's nor Block's own experiments are lifesaving, or even a little beneficial to anyone but those cashing their white coat welfare checks. Their research is about as essential as Joseph Mengele's was. Block misleads his readers again when he intones on cue, that vivisection is "closely monitored and subject to multiple stringent federal laws and university regulations." There were laws that regulated slavery and protected slaves as well; I guess no one should have been concerned about the slaves. Dario L. Ringach and J. David Jentsch October 1, 2009. Professors London and Jentsch trying to fool the public (again) September 23, 2011. And of course, don't miss this candid demonstration of the UCLA vivisectors' love for their fellow humans. 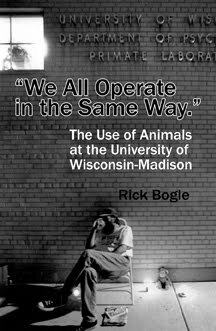 My long involvement in the animal rights movement, particularly the effort to end the US government's active promotion and rich financial support of animal experimentation, has led me to recognize the names of a number of vivisectors and to learn something about their practices and history. For instance, Tom Insel was the director of the NIH Yerkes primate center at Emory University when I first got involved, and now he is the director of the National Institute of Mental Health, the part of the NIH that is paying for Ned Kalin's maternal deprivation experiments at the University of Wisconsin-Madison. The fact that a vivisector with a history of lying to the public can keep moving upward in the NIIH and gain increasing power and influence along the way helps to explain the intransigence of the agency. NIH's extreme position on animal care and use is largely uncompromising. One glimmer of hope is the recent change of course on the use of chimpanzees, but in context -- the fact that the rest of the world had stopped and in some cases formally banned the use of chimpanzees -- it is clear that it takes massive long-term pressure and embarrassment on the international stage to move the NIH to alter its anything-goes de facto policy on the use of animals. Anyway, Insel's support for hurting and killing chimpanzees and his position of power in the NIH made me start wondering sometime ago about the directors of the other institutes, centers, and offices that comprise the NIH. So, I decided to take the time to find out just how common it is to find a vivisector at the head of one of those taxpayer-funded agencies. I looked at each Institute's home page, read the director's bio when one was provided, which they commonly are, and used either the accompanying publication list or PubMed to gain some inkling of their past and current work. The dollar figures are from the NIH Almanac's 2013 data. the most recent funding information currently shown at the time of this writing. Of the 27 Institutes and Centers that are the National Institutes of Health, and including NIH Director Francis S. Collins in the count, eighteen of them are vivisectors. That statistic is somewhat skewed and makes it seemed a little more "balanced" than it actually is. The National Library of Medicine and the Center for Information Technology naturally do not fund experiments on animals, and it appears that the National Institute of Nursing doesn't either, So, looking only at the agencies that do fund experiments on animals, seventeen of the twenty-four, or about 70% of the Institutes and Center that comprise the NIH are run by vivisectors. Given their likely propensity to support work and methods like their own, it is unsurprising that the NIH is stuck in the rut of animal experimentation. More surprising perhaps, is that even with all these vivisectors at the helm, a little more than half the money it allocates to researchers goes to non-animal projects. Even vivisectors recognize that human-based research is the best avenue for medical advancement. Director: Francis S. Collins, M.D., Ph.D.
Vivisector. Has his own mouse lab. The fact the person at the very top of the pyramid is a vivisector is telling. As in many hierarchies peopled by ideologues, the behavior and opinions of those at the top have significant influence on the opinions and behavior of those below them. It shouldn't come as a surprise that vivisectors promote and support other vivisectors. National Cancer Institute (NCI) $4,807,450,000. And an additional (B&F) $118,802,000 which, "Includes amounts specified for facilities repairs and improvements at the National Cancer Institute—Frederick Federally Funded Research and Development Center in Frederick, MD. B&F, often referred to as NCI-Construction." Director: Harold E. Varmus, M.D. Vivisector. "The Varmus laboratory uses a variety of experimental approaches to understand the molecular mechanisms of oncogenesis, with an emphasis on the use of mouse models of human cancer and human lung adenocarcinomas." Harold Varmus is a past director of the NIH. In 1997, I participated in a demonstration in front of his Georgetown home. We were urging him to take steps to end primate experimentation. The demo didn't have any effect. It was shortly afterwards that he was participating in the formal installment of J. Michael Bishop as the new chancellor of the University of California, San Francisco. Varmus and Bishop shared 1989 Nobel Prize in Physiology or Medicine "for their discovery of the cellular origin of retroviral oncogenes," a discovery that still doesn't seem to have led to any therapeutic application. Anyway, a number of activists had gotten wind of the event, and wouldn't you know it, they continually disrupted the affair by periodically standing up and asking Varmus or Bishop about the monkeys suffering in their cages across the street in the USCF labs; everyone who asked a question was hustled out of the small auditorium by a guard; most were arrested. National Eye Institute (NEI) $666,036,000. Director: Paul A. Sieving, M.D., Ph.D.
Vivisector. Experiments on mice and rat's eyes. National Heart, Lung, and Blood Institute (NHLBI) $2,918,317,000. Director: Gary H. Gibbons, M.D. National Human Genome Research Institute (NHGRI) $486,104,000. Director: Eric D. Green, M.D., Ph.D.
National Institute on Aging (NIA) $1,045,849,000. Director: Richard J. Hodes, M.D. Vivisector. He experiments on mice. National Institute on Alcohol Abuse and Alcoholism (NIAAA) $435,535,000. Vivisector. Just plain evil. Addicts animals to various drugs, studies chronic pain in animals. National Institute of Allergy and Infectious Diseases (NIAID) $4,256,327,000. National Institute of Arthritis and Musculoskeletal and Skin Diseases (NIAMS) $507,822,000. Director: Stephen I. Katz, M.D., Ph.D.
National Institute of Biomedical Imaging and Bioengineering (NIBIB) $320,697,000. Director: Roderic I. Pettigrew, M.D., Ph.D.
Mostly clinical research, but dabbles in vivisection: Effects of mechanical properties and atherosclerotic artery size on biomechanical plaque disruption - mouse vs. human. Riou LM, Broisat A, Ghezzi C, Finet G, Rioufol G, Gharib AM, Pettigrew RI, Ohayon J. J Biomech. 2014. Eunice Kennedy Shriver National Institute of Child Health and Human Development (NICHD) $1,252,430,000. Director: Alan E. Guttmacher, M.D. His research seems to have been focused on the identification of the genes involved in a condition called Hereditary Hemorrhagic Telangiectasia. It does not seem to have involved animals. Nevertheless, Stephen J. Suomi, Ph.D., Harry Harlow's star pupil, is Chief of the Laboratory of Comparative Ethology, a primate vivisection laboratory that is part of the NICHD, and Guttmacher seems not to have taken any steps to close it down during the tenure. National Institute on Deafness and Other Communication Disorders (NIDCD) $394,546,000. Director: James Battey, Jr., M.D., Ph.D.
Vivisector. He is also the chair of the Trans-NIH Mouse Genomics and Genetics Resources Coordinating Group. National Institute of Dental and Craniofacial Research (NIDCR) $389,274,000. Director: Martha J. Somerman, D.D.S., Ph.D.
Vivisector. "A variety of approaches are taken, including in vitro cell and organ culture, transgenic animal models for studying gene function, in vivo models for studying periodontal repair and regeneration..."
National Institute of Diabetes and Digestive and Kidney Diseases (NIDDK) $1,845,601,000. Vivisector. "Mice ... age were injected i.p. with varying amounts of bacteria (CFU). An optimal concentration to induce sepsis and mortality within 72 h was determined for E. coli and S. aureus. In survival experiments using this concentration, survival was monitored every 6 h. To determine the bacterial dissemination to large organs during sepsis, liver and lung tissues were harvested 24 h after S. aureus or E. coli infection." Olfactomedin 4 inhibits cathepsin C-mediated protease activities, thereby modulating neutrophil killing of Staphylococcus aureus and Escherichia coli in mice. Liu W, Yan M, Liu Y, McLeish KR, Coleman WG Jr, Rodgers GP. J Immunol. 2012 Sep.
National Institute on Drug Abuse (NIDA) $998,389,000. Director: Nora D. Volkow, M.D. 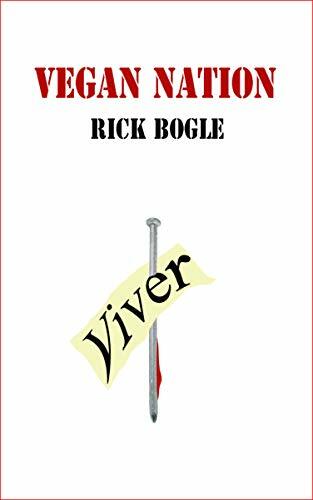 Vivisector and cheerleader for vivisection. Long-term safety of stimulant use for ADHD: findings from nonhuman primates. Volkow ND. Neuropsychopharmacology. 2012. National Institute of Environmental Health Sciences (NIEHS) $724,597,000. Director: Linda S. Birnbaum, Ph.D., D.A.B.T., A.T.S. Vivisector. In this paper she reports on the effects of putting flame retardant in rats' stomachs: Disposition and kinetics of Tetrabromobisphenol A in female Wistar Han rats. Knudsen GA, Sanders JM, Sadik AM, Birnbaum LS. Toxicol Rep. 2014. National Institute of General Medical Sciences (NIGMS) $2,303,204,000. Director: Jon R. Lorsch, Ph.D. He seems to be studying ribosomes in yeast. National Institute of Mental Health (NIMH) $1,403,005,000. Director: Thomas R. Insel, M.D. Vivisector. Previous director of the Yerkes Primate Center. He was the director when Jerom was killed. National Institute on Minority Health and Health Disparities (NIMHD) $262,011,000. Vivisector. She has not published much recently. Earlier in her career she reported on her experiments on rats. National Institute of Neurological Disorders and Stroke (NINDS) $1,541,480,000. Vivisector. She just announced her retirement. Walter J. Koroshetz has been named acting director. His work appears to be primarily clinical in nature. National Institute of Nursing Research (NINR) $137,213,000. Director Patricia A. Grady, Ph.D., R.N., F.A.A.N. National Library of Medicine (NLM) $320,016,000. National Center for Research Resources $1,257,754,000 in 2011, its final year. Vivisector. At one time he was the Coordinator of the Alcohol, Drug Abuse, and Mental Health Administration's (ADAMHA) Office of Animal Research Issues. Past primate vivisector. John E. Fogarty International Center (FIC) $65,988,000. Director: Roger I. Glass, M.D., Ph.D. Primarily clinical research and public health. National Center for Complementary and Alternative Medicine (NCCAM) $121,373,000. National Center for Advancing Translational Sciences (NCATS) $545,336,000. Director: Christopher P. Austin, M.D. Vivisector. The invented term translational science(s?) is a response by vivisectors who have been hammered over the past decade by observations by hardball medical researchers who have called attention to the plain fact that vanishingly few research projects using so called animal models of human biology ever lead to improvements in clinical care. They have suggested that the differences in species simply make it very unlikely that experimental data from one species can be translated into therapeutics for a different species. The response from vivisectors and the institutions that get rich by hosting their labs was to christen new "centers" for "translational" science. As if calling a spade a heart will make it so. Gallin's own research is mostly clinical, but even he, the director of the NIH Clinical Center, was using mice as recently as 2007.